Successfully Added Car DVD Player "Road Emperor Phoenix" - 3G Internet, GPS, ATSC, WiFi (2DIN) to your Shopping Cart. This 3G and Wifi enabled 2DIN Car DVD and GPS Player will ignite your passion for In-Car Entertainment with everything it offers. It is impressive not only for its aesthetic quality but also for the amazing array of advanced functions it provides. The “Phoenix” car DVD player thunders in with a flawless LCD touch screen at a whopping 7 inches. Not to mention the 800 x 480 resolution; which leaves its competitors literally trailing behind in the race to the most futuristic car interior. Powering the Phoenix is the equally impressive Telechips TCC8900; housing an ARM11 500 MHz core CPU and ARM-Mali 200 MHz graphics processor to provide you with all the multimedia power you’ll need to watch Digital TV, Movies, and all your DVD collection. Why settle for a lower quality Car DVD Player, when you can invest in a Phoenix Edition Car DVD, enjoy entertainment at its true potential and be the envy of all your friends. Enjoy high quality Digital TV with the ATSC Digital TV receiver included in the “Road Emperor: Phoenix Edition”. Now that your home has converted to Digital, you need to convert your car DVD to digital, so why not invest in a “Phoenix Edition” Car DVD which comes packed with every feature you could think of. Then you can enjoy the advancement of Digital TV in the comfort of your car just like at home. With Wi-Fi and 3G functionality, you can keep connected to all your important services whilst mobile in your car. Just slide in your 3G dongle (not included) with a SIM card or cruise to a Wi-Fi hotspot and connect up the included Wi-Fi dongle and you’ll be surfing the net in no time. You can connect via Bluetooth and USB so you can pair with your mobile device or upload a multitude of media data. You will never have to worry about getting your favorite files and data onto this player; they’ll upload in the blink of an eye with no problem. You will benefit by being able to get all your media where you want it to be, with you at all times! The powerful “Phoenix” car DVD features a user-friendly built-in GPS system that will get you to where you need to be without getting you lost down some long, dark, dead end alley. Cruise about and enjoy the excellent user friendly interface of the Phoenix so you can be in the right place, on time, calm and composed. Have you ever found yourself messing around and fumbling with your current GPS device? With the computerized voice irritatingly saying; “Turn left NOW” whilst you are driving along a 2 km-long bridge. With the Phoenix Edition you can be certain that its GPS receiver is state-of-the-art, and won’t be causing any frustrating glitches in the middle of a busy highway. The “Phoenix Edition” is the premier Car DVD player you were looking for, with its advanced modern features, a slick design, easy menu navigation and most importantly; on offer at an unbeatable price. So why not treat yourself with a new Car DVD player today by investing or upgrading to the “Road Emperor: Phoenix Edition”. A high quality car DVD player like this doesn't come along that often, so order now and we'll ship it out tomorrow! Brought to you by the leader in wholesale Car DVD Players, Chinavasion. I bought a Road Emperor Phoenix for my 1998 F-150 truck. The fit was good, it looks great and it works, well... fantastic! 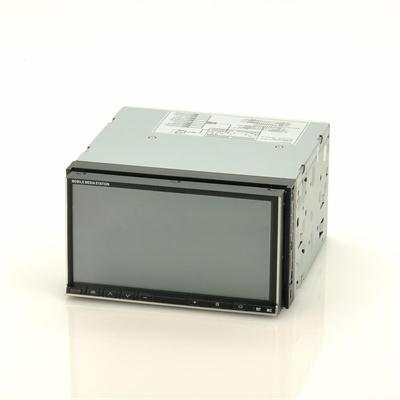 If you're looking for the ultimate 2DIN multimedia unit, look no further than this. This is my third Chinavasion unit (the first two moved on when I sold the cars they were mounted in) and ALL of them have worked flawlessly!